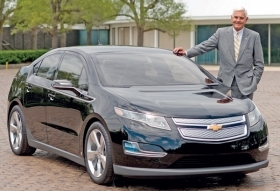 Bob Lutz guessed that the 2011 Volt would sell in the high-$20,000 range. A better guess these days is $40,000-plus. GM wanted to sell the Chevrolet Volt for less than $30,000, but the number has ballooned to about $43,000. These are the main factors driving up the Volt's price. DETROIT — In 2006, Bob Lutz was steaming over Toyota Motor Corp.'s success with the Prius hybrid. General Motors Co. had scoffed while Toyota had pushed ahead with the Prius. To Lutz's chagrin, the Prius gave Toyota a glowing image as a technological and environmental leader. "I was getting so pissed off about reading about how the wonderful, far-sighted Toyota is the only one who understands technology," the storied 77-year-old executive recalled in an interview last month. 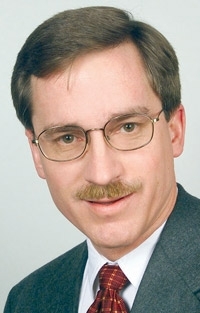 In 2006, Lutz was GM's vice chairman for global product development; this month he became vice chairman in charge of marketing and other creative disciplines. His exasperation with the Prius gave birth to the Chevrolet Volt plug-in hybrid, scheduled to be produced in November 2010. The Volt has given GM its own green-tech glow. But just as the Prius created publicity for Toyota, so did Lutz's back-of-the-envelope calculation for the possible price of the Volt: maybe the high $20,000s. That estimate has come back to haunt the project. With costs running far beyond projections, GM engineers already are "beavering away," in Lutz's words, to make under-the-skin cost cuts soon after launch. The good news: Battery development and other changes to the unique engineering of the Volt give GM an opportunity to bring the cost down much faster than for a conventional car. The Volt uses a lithium-ion battery pack to power an electric motor for about 40 miles (about 64km). After that, a small gasoline engine recharges the battery but never runs the car. When the car is not running, the Volt battery pack can be plugged into the electrical grid. The Volt team expected the car's battery-electric drivetrain to be costly. But the costs rose even higher than projected. As they developed the car, project managers found they couldn't use off-the-shelf systems from GM's compact-car architecture, such as power steering, which draws power from the internal combustion engine. So they substituted higher-priced electrical systems. The Volt is turning into a Cobalt-sized Chevy compact with a $40,000 sticker. The story of how that happened shows the challenges in bringing new technology into a mainstream vehicle. Lutz's ally in pushing the Volt through a resistant GM bureaucracy was Jon Lauckner, 51, GM's vice president for global program management. Lauckner is an engineer who started working at Buick in 1979, eventually taking product development posts in Brazil and Europe. Before returning to Detroit in 2004, Lauckner headed GM's global mid-sized car program in Germany. He will become vice president of global product planning this autumn. Lauckner was closely involved as Lutz cast about for GM's Prius fighter. One source with direct knowledge of the Volt program, who asked not to be named, recalls that Lutz wanted an "i-car" — a leapfrog product to seduce consumers in the same way that Apple Inc.'s iPod music player did. Lutz says he initially saw an electric vehicle using lithium-ion batteries as the best bet. But Lauckner convinced him that a plug-in hybrid with a range-extending gasoline engine on board was a better option. Lauckner quickly sketched out the powertrain layout and estimated battery requirements, Lutz recalls. "Within 15 minutes, he had the vehicle basically laid out," he says. "He did all the calculations, what the vehicle weight would be. I was smart enough to realize this made a hell of a lot of sense." But winning corporate approval for the Volt was a struggle. When Lutz proposed a plug-in, other GM executives flashed back to their painful — and costly — experience in the 1990s when they dashed far ahead of the industry by creating and marketing the EV1 electric vehicle. "One senior executive, senior to me, said: 'Bob, we lost a billion dollars the last time we tried that. What do you want us to do, lose another billion?' " Lutz recalls. Lutz persevered, getting permission to build the Volt concept for the 2007 Detroit auto show. The Volt was a hit, and GM decided to build it. The big splash caused a problem, though. Lutz had told reporters that he expected the Volt to sell in the upper $20,000s — which he now concedes was a rough estimate. "When I said I hope to sell it in the 20s, I just thought, 'Well, if a conventional car of that size with a conventional four-cylinder engine, we can sell it for $15,000 or $16,000, then let's notionally add $8,000 for the battery and we're at $25,000," Lutz recalls. "That's the way my brain worked on that one." The higher cost surprised Volt developers, says the source familiar with the program, causing sharp questions from GM financial executives, especially Chief Financial Officer Ray Young. But the program went forward. The Volt team knew that the drivetrain would be expensive, Lauckner said in an interview. At about $8,000, the lithium-ion battery pack, with batteries supplied by Korean firm LG Chem, is the big-ticket item. But GM also needed a compact 110-kilowatt electric motor and specialized microprocessors to control energy flow to the motor, he says. GM has not revealed the motor supplier. "The motor technology we're talking about is very sophisticated to get so much power and torque out of such a small package," Lauckner says. "And you pay a premium for it." In a normal vehicle program, GM would have saved money by using standard non-drivetrain parts from its global compact-car architecture. But with the Volt, GM had to change many standard systems. For instance, Lauckner says, power steering is often a hydraulic system — a pump driven by a belt running off the engine. Because the internal combustion engine in the Volt runs only intermittently to charge the battery, GM switched to more costly electric power steering run by an electric motor on the steering rack. An air conditioning compressor normally is driven by a belt and pulleys running off the engine; the Volt's compressor is driven by an electric motor. Likewise, the Volt's electrohydraulic brakes use an electric motor to provide the boost assist. GM found that traditional suppliers lacked expertise in electrical drive systems while companies touting EV technology were small by automotive standards. "You have to go to suppliers that you think have the experience, the capability and the manufacturing scale to do this," Lauckner says. "In many cases, it's less than the number of fingers on your hand, with some fingers to spare." Lutz adds that GM's fast-paced development left no time to merge redundant systems, such as cooling and heating pipes. "There are no systems synergies in that car; everything is stand-alone," Lutz says. "But that was just because the electric guys had to do their job, the cooling guys had to do their job, the hydraulic guys had to do their job, and there wasn't time to go back through it and say, 'Wait a minute, how come we have two of these?' "
As they looked at the cost of the project, GM also built in worst-case assumptions for warranty costs, Lutz says. GM will put a 10-year, 150,000-mile warranty on the Volt battery pack and powertrain. Lauckner says that is necessary to meet California Advanced Technology Partial Zero Emissions Vehicle standards. High warranty-cost projections have an upside. If warranty costs don't hit projected levels, "the car is OK almost from Day One," Lutz says. GM needs to do more than cross its fingers on warranty costs, though. At $40,000-plus, the Volt will be a tough sell in a Chevrolet showroom. By comparison, the Prius starts at $21,750, including shipping — putting it in a similar price range to other Toyota cars that shoppers may be considering. The Volt's retail base price will be about $40,000, the program source says, because "dealers need a couple thousand reasons to pick up the phone and order one." That means that GM will sell the Volt — at a loss — to dealers for somewhere in the mid- to upper $30,000s. Transaction prices, the source says, are projected to average about $43,000. Volt buyers will qualify for a federal tax credit of up to $7,500. But, the source notes, the consumer will not recoup that until months after buying the car — and still will have to finance and insure a $40,000-plus vehicle. The Volt has been costly in another way. The source says that the $1 billion cost of developing the Volt is roughly equivalent to creating three new vehicles on an existing architecture. GM might have killed another project with the Volt's ballooning costs. But the Volt's high public profile — stoked by a massive public relations effort — made that virtually impossible. Also, several other automakers are developing plug-in hybrids. GM doesn't want to lose its head start on what could be a successful technology. 1. Elimination of the redundant systems caused by rapid development, which GM plans for about nine months after launch, Lutz says. Dave Cole, chairman of the Center for Automotive Research in Ann Arbor, Michigan., estimates that in five to 10 years, technological advances could cut the cost of the pack in half, to about $4,000 to $5,000. With those and other savings, GM might get the base price down to $30,000, Cole says. Lutz and Lauckner expect future lithium-ion battery packs to offer better energy density. If so, GM will have a choice: Either keep the Volt's 40-mile electric range with a smaller — and cheaper — battery pack or keep the same size of pack and extend the range before the internal combustion engine has to kick in. Lutz says cost is likely to be the prime consideration: "I think it's all going to head in the direction of a smaller, lighter battery at much lower cost delivering the same range." GM could spread Volt costs by using the drivetrain in other vehicles, such as the Volt's sibling, the Opel/Vauxhall Ampera, in Europe. A Cadillac plug-in concept, the Converj, is in limbo. Lutz says GM could also use the Volt system in other front-wheel-drive vehicles. But he predicts that GM will move slowly because "vehicle price is going to be a big issue for a long time to come." In the meantime, GM will strain to push new technology into the mainstream. Range-extended hybrids like the Volt may one day play a major role in a greener automotive industry. But, as GM is learning, getting to the future is neither easy nor cheap. If you win the plug-in race . . . is that good?